Diane has spent the past 12 years in education. After settling her children into school full time, she joined the staff of Idaho Falls High School as the school secretary. After moving to Boise, she spent six years in the Timberline HS Counseling Office working as administrative support and as an Idaho Digital Learning Site Coordinator. 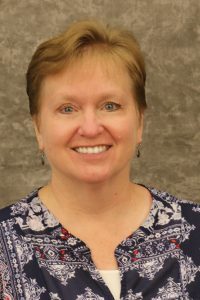 Diane joined the staff of Idaho Digital Learning full time in June of 2013 as the office “Girl Friday”/Student Services Support and is now acting as the Education Programs Coordinator, supporting the Ed Programs team in the capacity of Team Mom. When not at Idaho Digital Learning, you can usually find her somewhere in nature attempting to shoot the perfect Instagram-worthy photo.